Sherry FitzGerald are delighted to introduce to the market No 12 Hillcrest, Greystones. 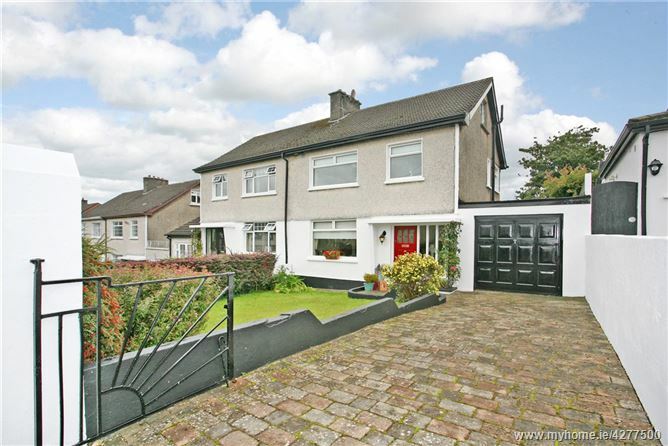 A very stylish, three bed semi-detached home situated in a very popular area of Limerick City. This is a beautifully presented home full of attractive features and comes to the market in 'turn key' condition. Viewing is recommended without delay!! The location of Hillcrest is excellent. It is bound to appeal to any young families due to its proximity to a range of primary and secondary schools, Limerick Lawn Tennis Club, Shelbourne Park and the city centre is also within walking distance. It is also a lovely option for anyone downsizing from a larger property due to the 'walk in' nature of the property and the mature setting. Internally the home is excellent and has so much character. The front door opens to a bright entrance hall with stone tiles leading through to the kitchen. To the left of the hallway is the living room, this room is decorated in neutral tones with hardwood floors and has an open fire. The kitchen/dining room stretches across the back of the house and enjoys a pleasant view over the back garden. The fitted kitchen is modern with a country feel. There is a door through to the garage which is ideal for further extension/conversion to expand the living accommodation if the new buyer desires. Upstairs there are three beautifully presented bright and airy bedrooms. The bedrooms are decorated in neutral tones with white painted floor boards and all three have built in wardrobes. Two of the rooms are doubles and one single. There is a main bathroom with whb, wc and bath with electric shower. Accommodation: Entrance hall, living room, kitchen/dining room, three bedrooms, main bathroom, internal garage. Garden: To the front of the property is off street parking and a well-manicured lawn with access to the garage. There is a mature garden to the rear that is extremely private. Services: GFCH, double glazed windows, garage, off street parking, Stira attic stairs, attic floored, 90 Sqm.